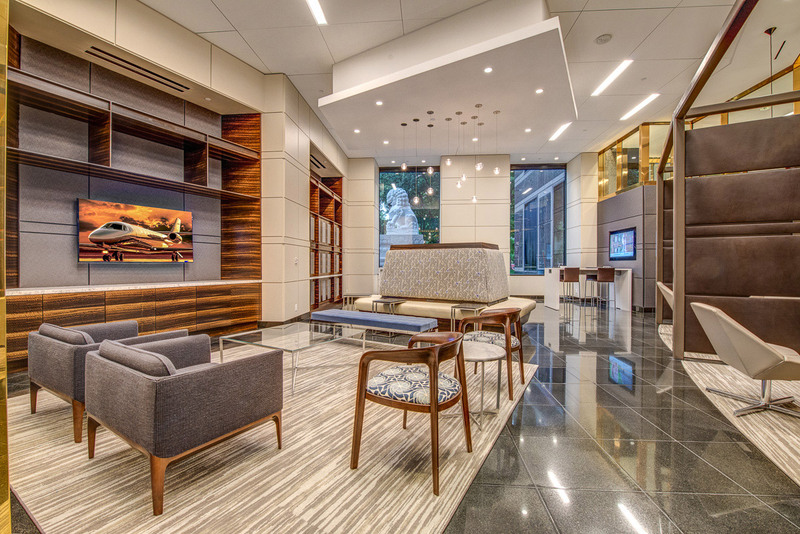 The Trammell Crow Center is an iconic 50-story Class A office building located in the Dallas Arts District. Distinctive in its architecture and known for world-class finishes, the building is also the home of the Crow Collection of Asian Art, an acclaimed art museum. 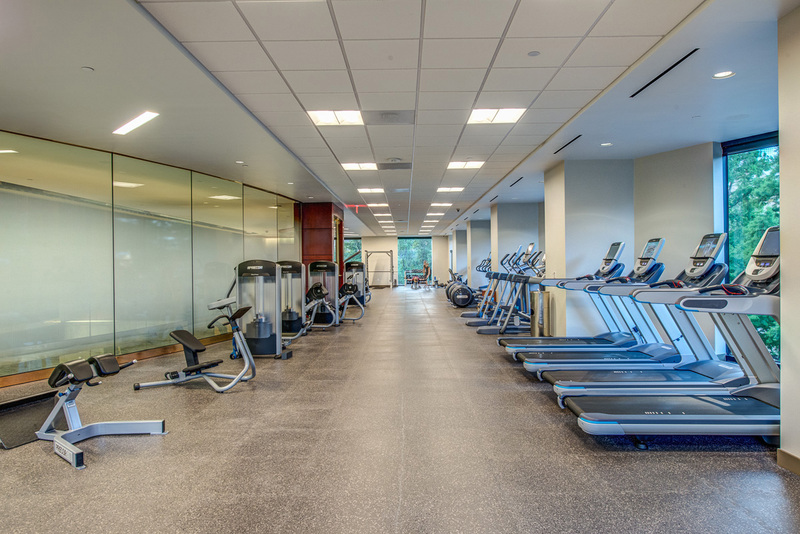 In 2015, the building’s leasing company, Stream Realty, teamed with Corgan Architects and Abstract Construction to redesign the Amenity Space and Fitness Center, further enhancing the building’s appeal. 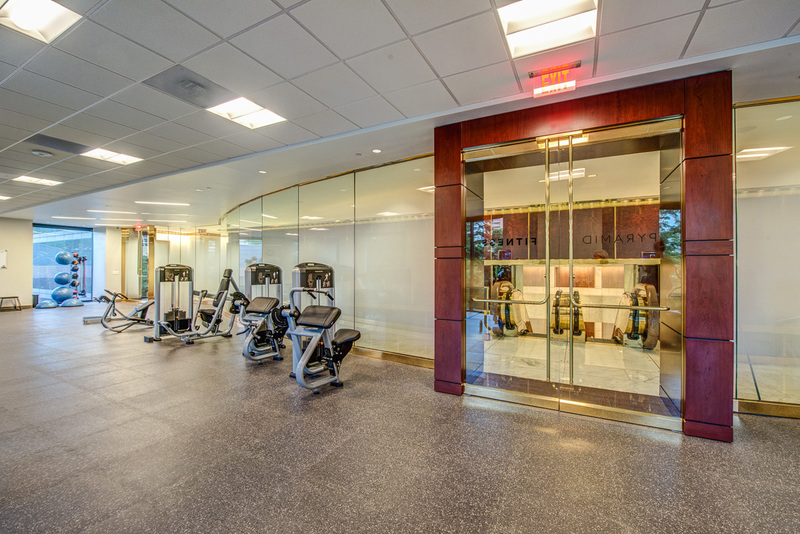 Trammell Crow Center is a high occupancy building that boasts many prominent tenants, including Fortune 500 companies with space on multiple floors. 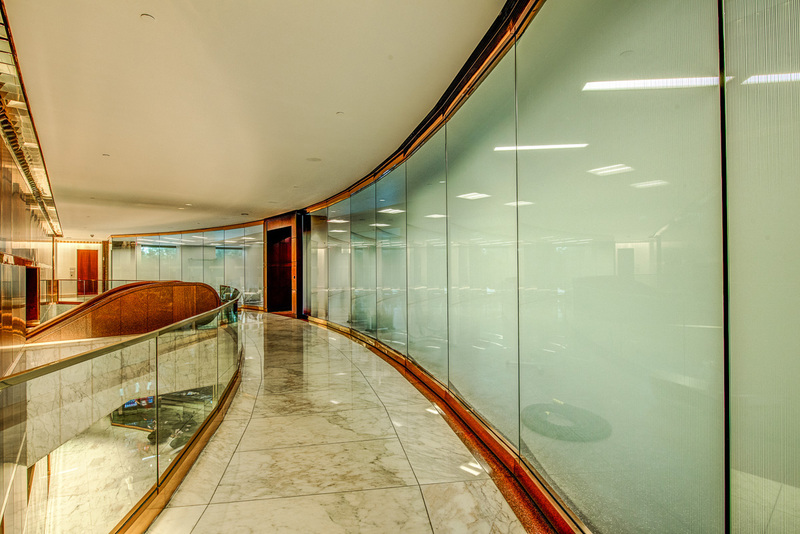 As such, working in the frequently trafficked main lobby areas and open atrium meant taking major precautions to keep dust, noise, and disruption to a minimum. The team was also challenged to rework outdated plumbing. 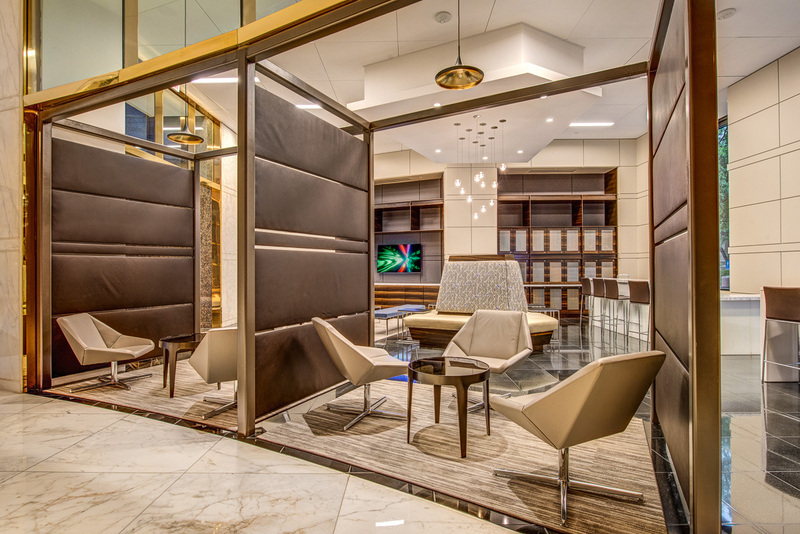 The client wanted a high-end, modern design with a neutral color palate, and Abstract Construction was charged with realizing that vision. 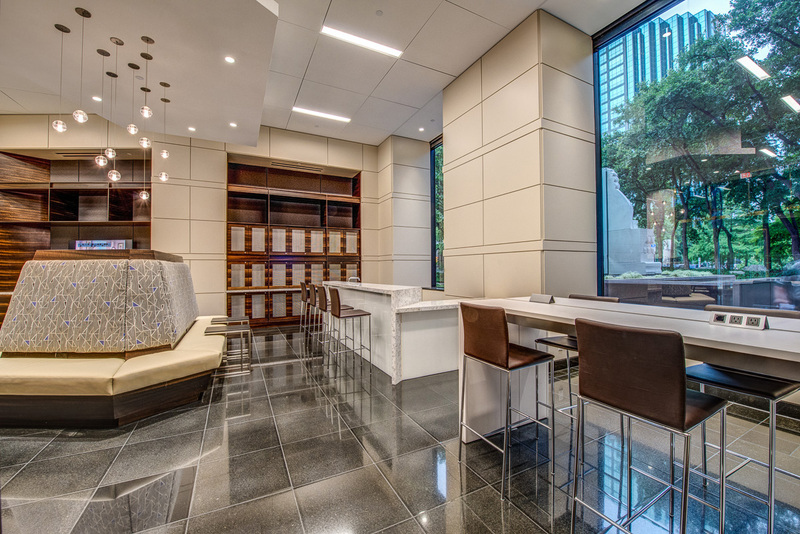 The Abstract Construction team offered total management control and field supervision for all subcontractors to make sure the tasks assigned for each day of the project were on time and on budget. 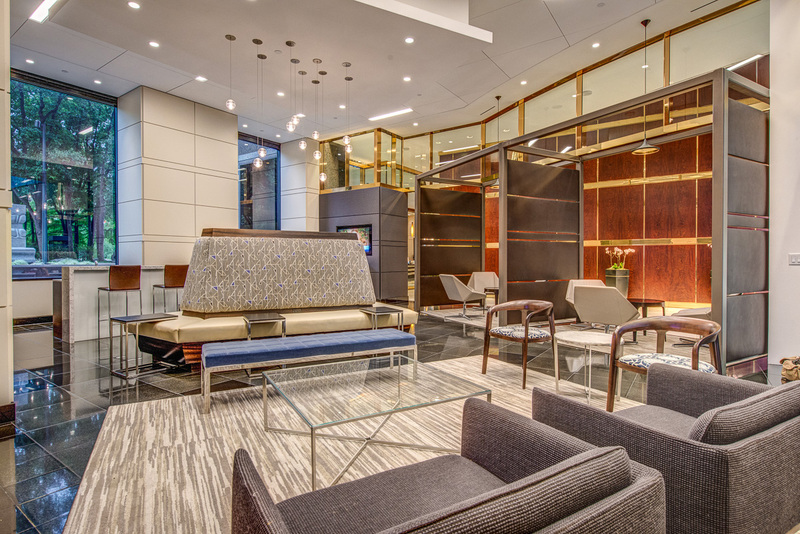 From major design details such as polished marble floors, leather space partitions, elegant glass pendant lighting, and contemporary lobby seating, to luxurious extras like a bar area and wine lockers, Abstract Construction managed every detail. 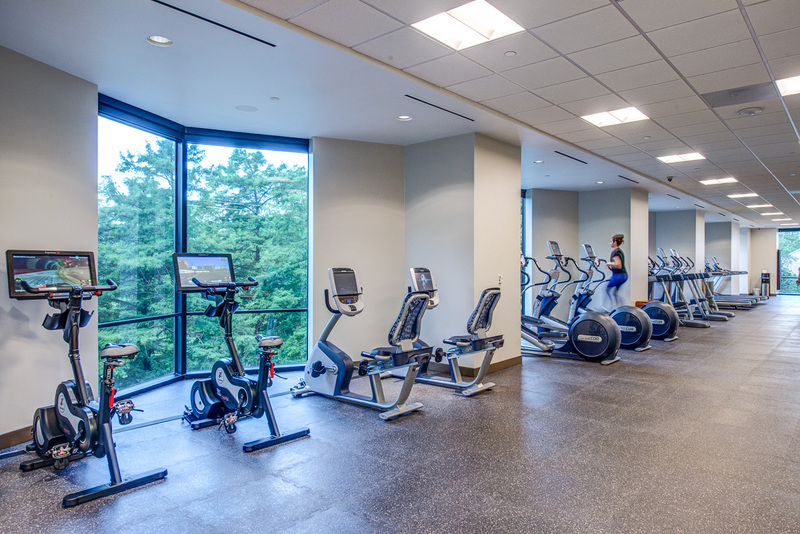 The interiors redesign project for the Amenity Space and Fitness Center at Trammell Crow Center was a success, and reflects the modern, professional ambiance of the office tower.